An array of radio telescopes scattered around the world may soon produce the first-ever image of a black hole. The experiment would also serve as a test for Einstein's theory of general relativity. The Event Horizon Telescope (EHT) project comprises many radio telescope sites scattered around the world, from the South Pole to Chile, Hawaii, and the French Alps. They will all point at the center of our galaxy, the Milky Way, to observe the surroundings of the supermassive black hole called Sagittarius A* located there. The signals from all the sites would then be combined using a technique called very-long-baseline interferometry (VLBI), which would effectively turn the array into one Earth-sized radio telescope. It would have a resolution of 50 microarcseconds – good enough to see a grapefruit on the surface of the Moon, or the black hole 26,000 light-years away. 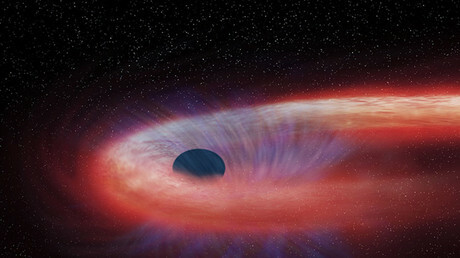 The EHT won’t observe the black hole directly, because by its nature it doesn’t allow any EM radiation to escape its event horizon, but it would pick up chaotic radio waves emitted by gas and dust particles as they fall on Sagittarius A*. The experiment is to start on April 5-14 and, if successful, would produce the first-ever image of a black hole later this year or in early 2018, reported Science Direct reported. 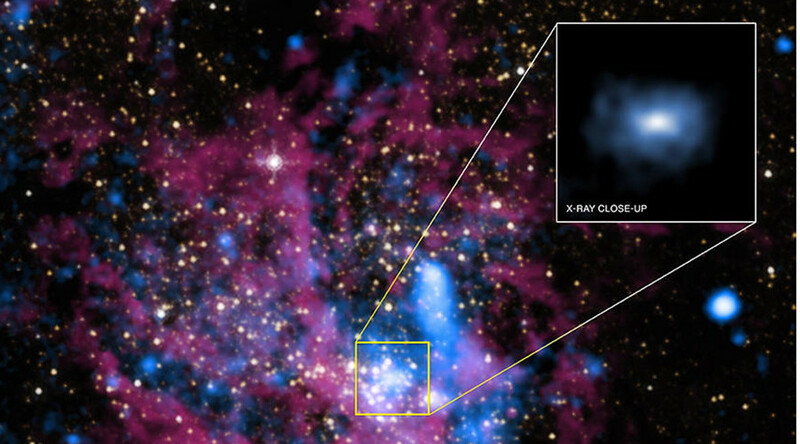 The team behind the telescope will be focusing on radio waves with a wavelength of 1.3mm (230 GHz) for the black hole, which gives them the best chance of cutting through the dust cloud around Sagittarius A*. “We've been fashioning our virtual telescope for almost two decades now, and in April we're going to make the observations that we think have the first real chance of bringing a black hole's event horizon into focus,” project leader Sheperd Doeleman from the Harvard-Smithsonian Center for Astrophysics in Cambridge, Massachusetts, told the BBC. The image the researchers expect to see is not a bright ring around a dark blob, as one would assume, but rather a crescent. This is because the ‘Doppler effect’ makes light emitted by material moving towards the observer appear much brighter. The team plan to compare their measurement of the shadow cast by the black hole and compare it to the prediction based on Einstein's theory of general relativity. If they find any contradictions, it would disassemble much of our understanding of physics. “As I've said before, it's never a good idea to bet against Einstein, but if we did see something that was very different from what we expect we would have to reassess the theory of gravity,” Doeleman said. “I don't expect that is going to happen, but anything could happen and that's the beauty of it,” he continued.